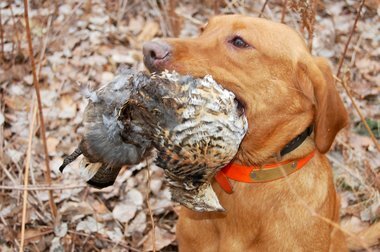 Michigan is a destination state for grouse and woodcock hunting. Michigan’s small game hunting seasons have opened, a date that once brought hoards of hunters to the woods. But state officials expect fewer to be hunting this season. Small game hunting is not as popular as it was once. Small game hunting license sales have declined steadily by 2 percent a year on average since the mid-1950s. Hunters bought 256,177 small game licenses in 2011, down 1.9 percent from 2010 when 261,000 purchased them. Fewer hunters are eating rabbit and squirrel these days while 90 percent go after whitetail deer, Frawley said. The shift from small game to deer began in the 1970’s as whitetail deer populations started expanding in southern Michigan. “Deer provide hunters with more bang for the buck (than small game),” Frawley said. As a result, many young hunters today are being introduced to hunting deer rather than squirrels, rabbits and upland game birds. Small game hunting was once the entry point for young hunters. Pheasant hunting, once the pinnacle of the small game season, declined in popularity as ringneck pheasant populations disappeared from much of the Michigan’s agricultural landscape. That tradition has been increasingly replaced by one where young hunters and their parents hunt deer. Hunting deer, whether for meat, trophy or sport, also no longer requires traveling north and spending precious dollars on gas, food and lodging, according to state officials“. Upland bird hunting, on the other hand, has become Michigan’s small game hunting season draw. A 2010 DNR hunting participation report, the latest completed, shows 85,000 hunters went out for grouse that year and harvested 260,000 birds. Woodcock were pursued by 37,000 hunters. They killed 97,000 during the season. Grouse hunting is expected to be good this season. Grouse populations fluctuate over 10-year cycles, Stewart said. Hunters can expect decent counts, despite being two or three years after the population peak. Grouse are found in young to moderate-aged aspen stands and tag alder thickets. They are most abundant in the Upper and northern Lower peninsulas. Woodcock numbers, however, are in decline, and hunters are being advised to look for them in the northern two-thirds of the state. They can be found along streams and marsh edges. Hunting improves for them in southern Michigan later in the season, when woodcocks start their southern migration. Squirrel hunters will find populations are moderately high levels this year. State records show approximately 70,000 hunters pursue them annually. Michigan’s 60,000 rabbit hunters also are expected to find good populations in their range over much of the state, while the 15,000 or so that hunt snowshoe hare will find numbers are down a bit from historic levels. Michigan’s small game hunting season also includes sharp-tail grouse in the eastern Upper Peninsula and quail in certain counties. For more information, check the state hunting guide. Hunters need a special sharp-tailed grouse endorsement on their hunting license. Hunters interested in finding good grouse habitat can check the revised and upgraded MI-Hunt website at michigan.gov/mihunt, Stewart said. This entry was posted in Uncategorized and tagged Deer, DNR, Grouse, Hunting, Small Game Hunting, Woodcock. Bookmark the permalink.